Digital marketing meets visual design. From college fundraisers to non-profit marketing campaigns. Why you should work with a visual designer. Implementing quality design across every touchpoint of your brand isn't easy. That's why it's incredibly valuable to partner with a helpful designer who knows how. Personalized design support for every project. Working with a visual designer should be a collaborative, educational, and uncomplicated process. That’s why I loved working with these clients. 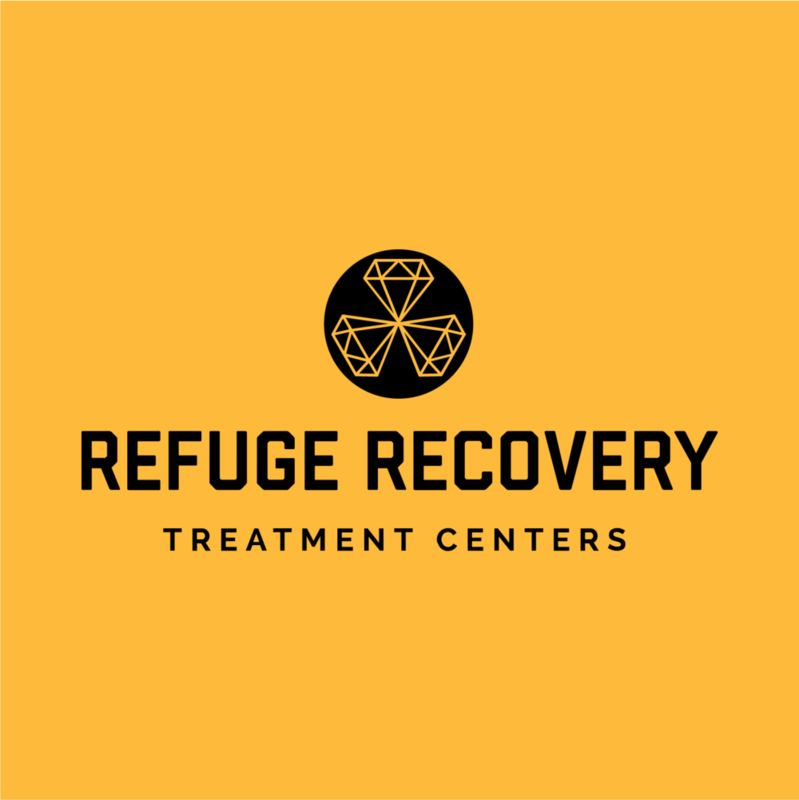 Founded by Noah Levine (Author of Refuge Recovery), the visual identity of Refuge Recovery needed a reinvigorated visual identity and website design, while maintaining the integrity of the existing logo concept. I collaborated closely with the owners of Karuna Recovery (affordable luxury sober living homes in Los Angeles) to refresh their old logo and create a contemporary visual identity that would effectively translate throughout their new website design. This Austin-based podcast focuses on every touchpoint of the coffee industry, from seed to cup. We worked together to redesign The Coffee Podcast website and logo identity to make their mission more accessible to potential sponsors. Ocean Institute was the selected non-profit for the focus of Forge54 2017, a skilled giving weekend of over 100 creative leaders in Orange County. I managed a team of copywriters and designers to design the assets for the program awareness campaign. Migrating a local blogger's hispanic food poster business from Etsy to Shopify increased her yearly revenue by 300%. Since running a strategic series of promotional ads on social media, My Big Fat Cuban Family has drastically expanded her audience reach. My partnership with Serengeti Trading Co. resulted in an effective redesign to their coffee packaging. After copious research and brand positioning, we were able to easily address the unique challenges of corporate social responsibility. Keeping their target audience in mind (recent college graduates), OC Digital Workshops needed a welcoming identity and an accelerated website launch to quickly start communicating with their audience. Since 2015, I worked with the Division of Fine Arts at Saddleback College to create the social media campaigns to promote their annual Summer of Theatre event. As a direct result of our marketing efforts, we saw a collective attendance of over 4,500 individuals every year. Bringing the principles of a church to the 21st century, I partnered with a family who had inherited the organization. The transformation of their logo reflects their ever-evolving mission to become a cornerstone of the local community. Using competitive research, I created a versatile monogram logo design that would stand out amongst his immediate competition and attract his desired audience in South Orange County. An organic homemade line of almond milks, the owner of Dulcis Milks wanted a label design that reflected her mission of healthy living and empowering single "momtrepreneurs" to pursue their passions. What it's like to work with me. "Because of Lucy's hard work, great attitude, innovative design talent and bright personality, her youthful and hip design aesthetics were able to attract large audiences for theatre, music, speech, art, and fundraiser events." Working with Lucy was such an enjoyable process. She took so much time to learn about our company and understand our goals. She has a unique design perspective that is applied with the knowledge that there is not a magic formula or one-size-fits all approach. - Anna L. | Serengeti Trading Co. Since day one, Lucy has been a trusted source for our team at JUNK whether we need to build out an entire campaign for a client or just bring another set of eyes in to look over our layouts. She’s bright, super fast, and asks the right questions. She can adapt to any style we need for a particular industry or need. She knows how to create just about anything you ask her to. If applicable, please select the best estimate for your project. Fill out the information below so I can follow up as soon as possible. If you'd like me to call you directly, feel free to enter your phone number below. I won't bombard you with sales calls; I promise. If you have any additional questions regarding my services or offerings, feel free to ask them below.